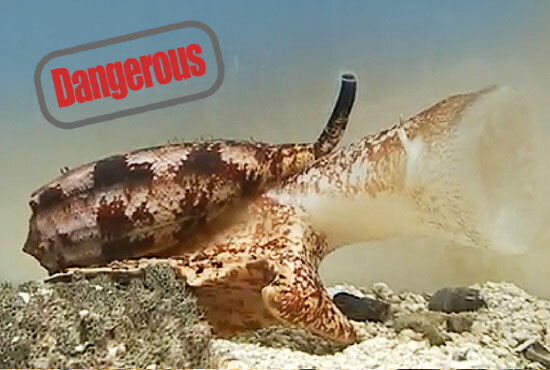 What is interesting and the focus of todays FSF, is the recent discovery that one species of cone snail, Conus geographus, uses weaponized insulin to restrict its prey before engulfing it. Why is this cool and important? Insulin is a hormone produced in the pancreas that regulates blood sugar levels. A failure to control insulin levels, commonly seen in diabetics, can result in decreases in blood glucose levels, which can result in lethargy, dizziness, and lost of consciousness among other things. So now back to C. geographus badass. This snail releases its cocktail of toxins into the water, insulin forms part of a poison mixture evocatively known as “nirvana cabal”, allowing the snail to immobilize whole schools of fish by sending them into “hypoglycaemic shock”, a condition brought on by plummeting blood sugar levels. Once paralyzed the snail can gore to its hearts content. C. geographus is one of the most venomous creatures on Earth, and is known to have killed dozens of people in accidental encounters. Now researchers have a better sense of how and why this snail’s toxin is so potent. 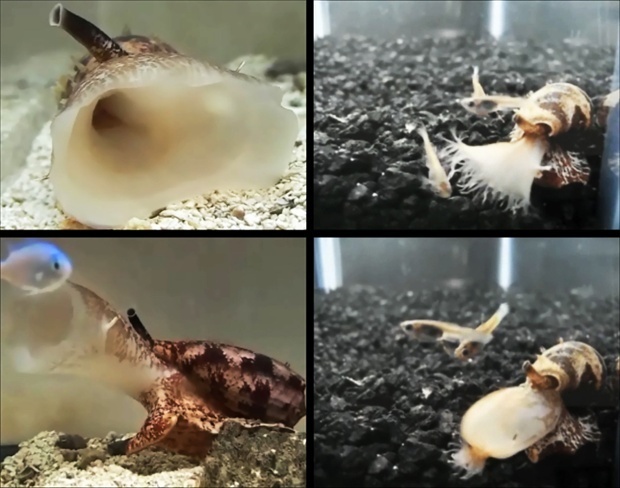 You can read more about this cool snail, and the study to uncover its toxic properties in the journal Proceedings of the National Academy of Sciences.